omid (mashhad, Iran) on 22 November 2015 in Landscape & Rural and Portfolio. Très belle composition dans ce contre-jour aux tons dorés! Oh my, your sunsets over there are superb. Splendide ! ***** bonne journée Omid ! Lovely scene with a beautiful sunset! Have a nice sunday omid. Fantastic light and composition ! Love it. Des similitudes avec ma photo d'hier, très beau. A lovely photo, nice exposure. Gran dominio de este contraluz. Genial tonos! Lovely silhouette of the golden hour. Very pretty silhouette and beautiful sunlight. Excellent image. Beautiful shot ! Great work ! Well done ! This near silhouette of the youngster makes a good foreground object for showing the construction. Cette jeune, ce ciel quel découpage du personnage superbe compo. Sweet shot of the child at play. Nice toning. A great image and a sweet little child ! 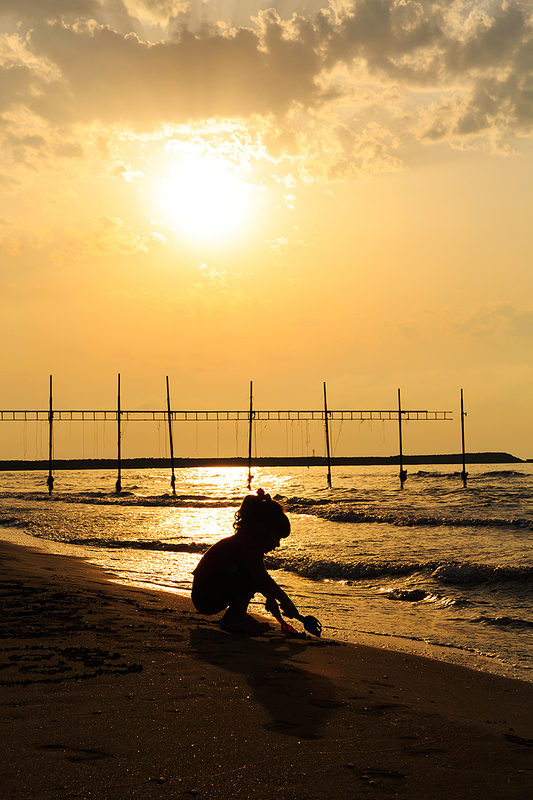 Amazing light on the beach where this lovely child plays! I love the scene immensely! That is a stunning shot. Great light and colour. And she is cute. This is so cute hope the tide does not come in before she has the chance to finish. Beautiful view, lovely scene, amazing photo. A spectacular image! Beautiful silhouette against the golden sky! A gorgeous composition!